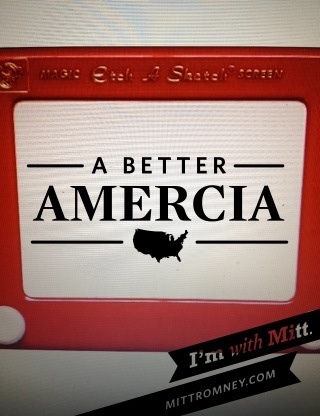 Now the Mitt Romney presidential campaign has suffered a similar bout of spelling ineptitude. The campaign released an Instagram-like app for the iPhone that allowed users to share photos emblazoned with pro-Romney slogans. At first glance, it seemed to be a pretty cutting-edge effort for a campaign that has long struggled to connect with voters. What they hoped to accomplish by enabling supporters to create digital postcards is unclear. (Seriously: who’s going to send them to people?) But in the end, the app made news for a completely unintended reason. In one way, this mistake wasn’t as bad as the one Quayle made, because here the candidate himself didn’t actually make the error. (Presumably — Romney doesn’t seem the coding type.) But in some ways, this mistake is actually worse. People can forgive a momentary brain lapse like Quayle’s. But this was something else. In all likelihood, the programmer who created the app knew how to spell America. It was very likely a typo: the digital equivalent of Quayle’s “potatoe.” Everyone makes typos. As a writer, I do it all the time. When writing the 90,000 words in my book, I probably made hundreds of typos. But the difference is that I reread every one of those words at least four times. And at least five other people reviewed my work as well. The reason for this is that I care about making mistakes and I try to pay attention to detail. And so do the people at Apress who published my book. The programmer who created the app should have reread his work. The campaign official to whom he reported certainly should have checked the 10 or 12 templates in the app and made sure that there weren’t any mistakes. Given the size and import of the national campaign, there were probably several other officials whose approval was needed before releasing the app. In fact, it’s not beyond reason to expect that the candidate himself would at least take a look at it before it hits the App Store. The mistake was so glaring, anyone should’ve caught it. They didn’t care enough to check. And yes, we can all agree that in the scheme of things, this is a very minor mistake. But it’s a very visible one. And it sends the wrong message to the public. To be fair, I’m sure that the people involved in the campaign care very much. Many of them have put their lives on hold while they work tirelessly to get Romney elected. But the message they’re sending is that they don’t care. So whenever I received a job application from someone who hadn’t bothered to check the spelling of my name, I immediately threw it in the wastebasket. It’s possible that some of those candidates would have been exceptional lawyers. We’ll never know. Because they didn’t show that they cared. The way I see it, being a lawyer is a job that takes attention to detail. (Just as being the president does.) If someone couldn’t demonstrate that attention to detail when they were trying to get the job, what would make me think that they would later show that attention after they got the job? Was I being too tough? Maybe a little overly sensitive? It’s certainly possible. But did they show that they cared? No, they did not. In business, you often have opportunities to show that you pay attention to things and that you care about the work that you do. Nobody’s perfect and everybody makes mistakes. But if you want people to trust you — to believe that you care — you will make every effort to catch those mistakes before they cause harm. Should a typo in a silly iPhone app have any effect on the outcome of the presidential election? Of course not. But when we evaluate people, we look at signs. And this is an unfortunate sign that the Romney campaign just doesn’t quite care enough. Check your work. Show you care. A political note: some people might read this and think that I must therefore support Obama for president. Not at all. I am a member of that rare species known as the Massachusetts Republican. (There are like six of us.) I actually agree with many of the positions that Mitt Romney campaigned on in the nineties when he ran for the Senate and for governor. In other words, I agree with neither candidate now.